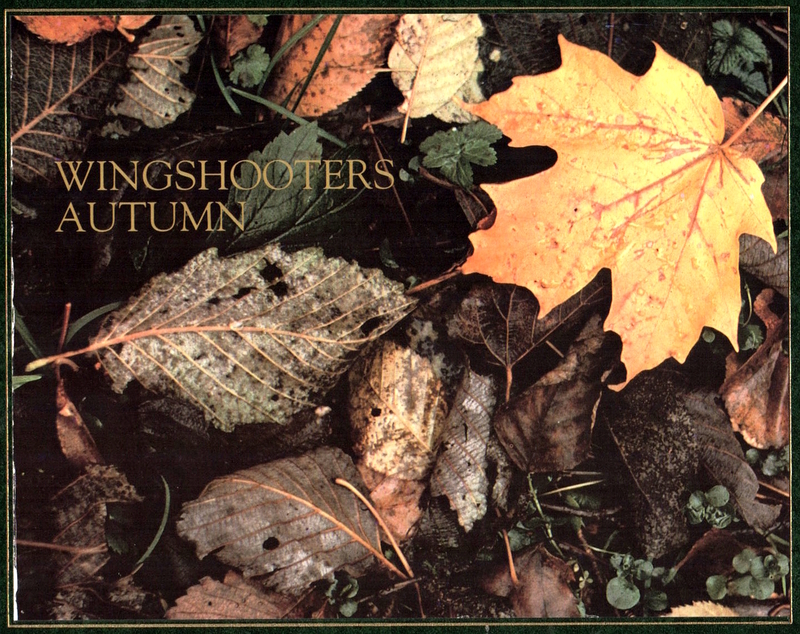 "Wingshooter's Autumn" by Willow Creek Press. RARE LIMITED-RUN 1986 FIRST EDITION, beautifully packaged in a dark green textured slipcase. Only 3000 copies were made. A real HUNTING COLLECTIBLE. Beautiful color photographs of bird hunting with dogs, accompanied by stories and verse. HARDBACK, in EXCELLENT condition. Stamped bookplate inside front cover. Only one in stock.